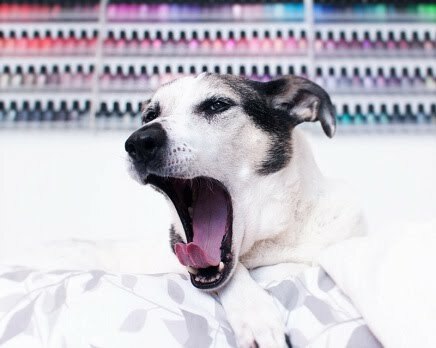 Polish Hound: Mail-time: Essie Cashmere Matte Collection Polishes! Mail-time: Essie Cashmere Matte Collection Polishes! Hey everyone! I'm pretty thrilled that more than half of the week is over. How about you? Today I've got a fun mail-time for you! These polishes actually came in two weeks ago, on Jan 26, and I ordered them from a seller called Beautychain on Bonanza.com, which is some kind of eBay-like online marketplace as far as I can tell. I took a risk, and it paid off! There are a lot of sketchy reviews about Bonanza as a whole, but, in my experience, these things usually come down to the individual seller, and Beautychain had a pretty positive (99.5%) rating. I was really desperate for these polishes, guys- couldn't tell you why! I couldn't find them online anywhere- at the time they were sold out on Essie's own site (and I think they still are), and I didn't really want to pay full price anyway! I had actually seen them in person in a CVS display, but that was it, and again- full price, not so much. I should probably find something else healthy to treat him with because I'm tired of writing "carrot" on this blog, lol! Notice how they package one unwanted shimmer-less shade in each of the two sets- haha! Each set was $12.82, and shipping from Beautychain was $10, which is not the best, but that works out to $34.14, which is still cheaper than the $51 original retail I would've paid for these elsewhere! I should also mention that I've never purchased an entire Essie collection at once before like this! That's how much I was intrigued by these! Bottles removed from their boxes! The one in the middle there is Essie- Coat Couture, which everyone is dying over at the moment! I've actually already tried three of these polishes: swatched one, and worn one as nail art, and had my nails break pre-swatch on another. It's been a mixed experience so far, but you can expect a more detailed review when I get to swatches of these! Stay tuned for swatches- they are coming....sometime! Have you guys tried any of the Cashmere Mattes? Yay! Can't wait to see swatches though judging from the pictures, these colors would have been better suited for fall/winter.